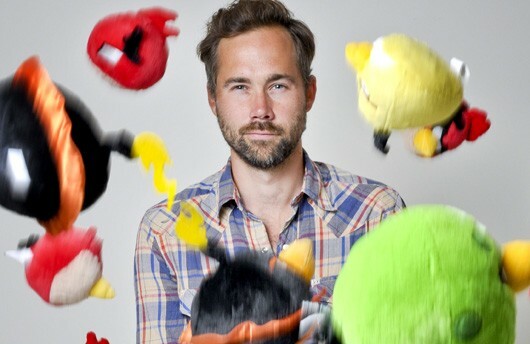 Oskar Burman has stepped down from his position as the General Manager of Rovio Stockholm. His decision was revealed in a series of tweets on Tuesday with studio creative director, Patrick Liu set to step into the hot seat temporarily whilst a new GM can be appointed. All in all, these four years have been a blast, building Rovio Stockholm up from scratch – assembling one of the best teams I’ve ever worked with,” Burman tweeted. “It’s one of the sharpest mobile game teams in the industry, expect amazing stuff in the future. More stuff I’m proud of: Our inclusive studio culture. Our process using game jams systematically to ideate. Our next game. Our fan feedback,” he continued. Oskar Burman has among other roles headed Easy Studios before his move to Rovio and is one of the founders of th hugely influential non-profit accelerator program Stugan.